The plans were ambitious: in the mid-late 2000’s, several countries in Africa’s Great Lakes region -Burundi, Uganda, the Democratic Republic of Congo and Kenya- planned a series of comprehensive transitional justice models to address legacies of violence that stretched back decades and to prevent conflict from recurring. But in the years since adopting these plans, the governments have done little to successfully implement them. Few victims have received redress and few perpetrators have been held accountable for their crimes. Given the challenges that official transitional justice processes have faced, some in civil society are focusing their efforts on specific, targeted measures that have a more realistic chance of success in the prevailing political climate, such as documentation of human rights violations. ICTJ has been working to support these efforts throughout the Great Lakes region, partnering with local groups in Kenya, Uganda and DRC. As a way to further that work, ICTJ is convening a regional conference on May 17-18 in Kampala, Uganda that will bring together state actors, representatives from civil society organizations and members of victims’ groups from Uganda, Kenya, DRC, Burundi and South Sudan. At the conference, those working on the ground across the region will reflect on the common challenges they face in seeking redress and accountability and will share valuable lessons they have learned in the course of their work. The lack of progress of official transitional justice mechanisms in these countries has led to fatigue and frustration among victims, civil society and the international community, especially in light of the striving plans and very high expectations laid out by the governments at the start of these processes. In most of these cases, overambitious integrated models were developed – that is, processes that incorporated simultaneous truth-seeking mechanisms, prosecutions, reparations programs and institutional reforms. Subject to political interference, lack of domestic ownership, insufficient capacity and a number of other challenges, progress stagnated and the processes yielded few meaningful results. Compounding these challenges is the persistence of power structures and inequality that contributed to the initial conflicts and the presence of perpetrators in positions of power. 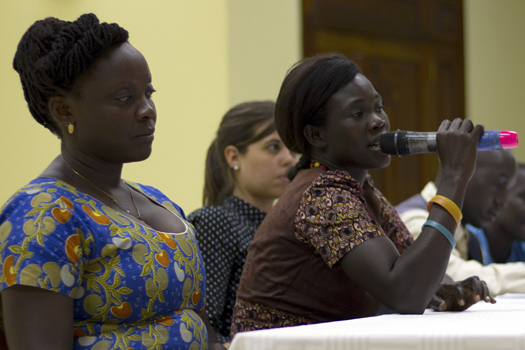 These challenges manifested themselves in Uganda, where the government pledged to implement a number of mechanisms under Juba’s Accountability and Reconciliation protocol in 2008. In the years since, it has failed to adopt a final policy to implement these pledges, leaving victims without redress—no formal truth-seeking process has been established, victims have not received any form of material or symbolic reparations, and the first trial for war crimes (against Thomas Kwoyelo) has yet to begin. Similarly, in Kenya, the Truth, Justice and Reconciliation Commission (TJRC) fulfilled its mandate but the state has yet to formally adopt its report or pass the necessary legislation to implement the recommendations it contains. South Sudan recently achieved a peace agreement of its own, and it also envisions a comprehensive set of transitional justice measures. Given the difficulties its neighbors have faced in implementing their pledges, the question now stands: does the state have the capacity and the political will to fulfill its promises and provide the victims with redress? In the face of such questions, we see significant value in convening civil society groups and state officials to discuss which strategies have been effective and which have not to address legacies of atrocity and mass abuse. Activists and officials will be able to compare and reflect and can then bring lessons back home to their respective contexts. Topics of discussion at the conference–organized in partnership with the Austrian Development Cooperation–reflect the multitude of challenges faced in the region and the tactics that local groups have developed. Panels will address the role of civil society in the absence of State-led transitional justice measures; the documentation of human rights violations; the pursuit of redress for sexual and gender-based violence; the national prosecution of international crimes; and the role of the international community in all these processes. In facilitating these conversations, ICTJ hopes that groups can pursue concrete measures that eventually influence the original institutional frameworks proposed in their own countries. By developing a domestic constituency and pursuing more targeted successes, we believe those working in the region can push for broader accountability. Ultimately, we hope conference attendees will continue this conversation after the closing remarks and deepen the regional exchange between them and other influential actors. Collaboration is a key tool as the fight against impunity and for victims’ rights continues in the region.